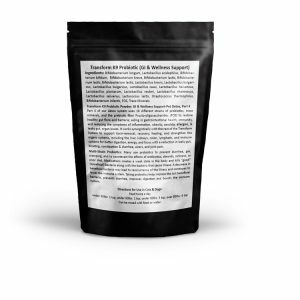 The Dr. Bradford’s Eternal K9 dog allergy supplement, created by Dr. Bradford DVM, PhD, was made to support the health, recovery, and strength of the immune system. It detoxifies and nourishes to calm inflammation and reduce eye irritation, trouble breathing, itchy skin, and other allergic reactions. Category: Supplements Tags: allergy dogs, dog allergy, dog allergy medicine, dog allergy supplement, dog rashes, dog vitamins for skin allergies, dogs rashes, golden retriever hypoallergenic, heat rash dog, hives dog, rash on dog skin, skin allergy dog food, skin allergy dogs, skin allergy on dogs, skin allergy to dogs, skin rash dog	SKU: dog-allergy-supplement-eternal-k9. Dog Allergy Supplement: This formulation calms inflammation and reduces eye irritation, trouble breathing, itchy skin, and other allergic reactions. It’s perfect for spring and summer, or year-round protection from environmental and food allergies. It also nourishes other parts of body such as the bones, organs, colon, and the skin & coat. Aside from boosting immunity, typical benefits include improved restful sleep, better digestion, energy, and focus with a reduction in gas, bloating, constipation/diarrhea, and ulcers. Eternal K9 dog allergy supplement is a must have for dogs of all ages. It also nourishes other parts of body such as the bones, organs, colon, and the skin & coat – natural ingredients are scientifically optimized to a low molecular weight for better absorption and digestion to maximize effectiveness. Soothes skin-related issues associated with seasonal allergies – is a comprehensive wellness formula for all dogs. The skin is one of the most vital organs of the body and reflects your pet’s state of overall health. Environmental factors like humidity, fleas, pollen and fungus can affect your dog’s or cat’s skin, but skin issues also appear when your companion is suffering internally. This will appear in the form of seasonal allergies or digestive problems. This dog allergy supplement was designed to help your pets feel great in their skin. It includes a combination of ingredients to support liver, kidney, and colon function (the detoxification organs) and to capture and eliminate parasites, toxins, heavy metals, candida and yeast. It supports healthy skin, promotes a healthy inflammatory response, and aids in recovery from chronic allergies & imbalances. This formula also supports skin health on a deeper level by supporting the removal of wastes from the body and supporting healthy circulatory functions. These carefully selected ingredients work synergistically to maintain healthy skin tissues, reduce inflammation, and detoxify the system. Benefits: Helps Maintain Healthy Histamine Levels. Contains omega-3 fatty acids, trace minerals, vitamins, amino acids and antioxidants beneficial for maintaining and supporting skin health! Cautions: Safe use in pregnant animals or animals intended for breeding has not been proven. For animal use only. Keep out of the reach of children and animals. In case of accidental overdose, contact a health professional immediately. Bee pollen: Allergy symptoms happen when the body develops an immune response to an allergen, creating antibodies. These antibodies then activate certain receptors on your cells to release histamine, resulting in an allergic reaction (red eyes, itchy skin, hot spots, vomiting, diarrhea, etc). Bee pollen actually reduces histamine, which is the same target over -the-counter medications act upon. It can be effective for a wide range of respiratory diseases, ranging from asthma to chronic sinus infections. Nettle: Nettles contain tannic acid, lecithin, chlorophyll, iron, silicic acid, lime, potassium, phosphorus, sulfur, sodium, chlorine, and vitamins A and C. It stimulates the digestive glands of the stomach, intestines, liver, pancreas, and gall bladder. Nettle has a natural ability to calm and soothe inflammation, which makes is the perfect choice for helping to reduce redness, irritation, rashes, eczema, psoriasis, and dermatitis. It’s effective against microorganisms, helping to kill off bacteria and fungi. It also stimulates the hair follicles and improves hair growth and reduces dandruff. MSM: This sulfur compound has an anti-inflammatory and skin-repairing effect, which is useful for inflammatory skin conditions such as eczema, acne and psoriasis. It also may help smooth and soften scars and hasten the healing of existing lesions. MSM helps make the skin cells more permeable, and therefore more absorbent and receptive to plumping and hydration. It helps the other ingredients gain entry to the skin cells in order to nourish them more effectively. Chlorella: It’s the best form of living chlorophyll. It has twice the amount of vitamin C & A as carrots and oranges, it’s rich vitamin B, as well as calcium, phosphorus, magnesium, sodium and potassium in a balanced ratio. It’s a complete source of protein, containing all essential amino acids but in simpler and shorter chains making it more bio-available. As a powerful detoxifier it uses enzymes to eat away at bacteria, heavy metals, and pollutants hiding in the body’s tissues, lessening the effects of radiation and chemotherapy, preventing inflammation, treating allergies, autoimmune disorders, tumors, parasites, and more.